A bioplastic or biopolymer is a plastic that is entirely or at least 20 percent composed of renewable biomass sources, such as starch, cellulose or sugar. Because of its biological origin, it is inherently biodegradable, which means that it can easily be broken down into CO2, water, energy and cell mass with the aid of microbes, rendering it largely carbon neutral. On top of its ecological advantages to standard plastic, which is largely derived from petrochemicals and can take hundreds of years to degrade, it helps to conserve fossil raw materials and the dependency on mineral oil. A thermoset is a plastic that, after curing, remains insoluble, infusible and essentially solid. It is usually liquid or malleable prior to its curing process but cannot be reheated or melted back, since it would reach its decomposition temperature before the melting point. This essentially means that a thermoset cannot be recycled, except as filler material but is generally much stronger and durable than a thermoplastic material. Examples include Polyurethanes (PU), Bakelite, Duroplast, Polyester fiberglass systems, Melamine and Epoxy Resins or Polyimides (PI). A thermoplastic can be softened and hardened repeatedly through heating and cooling. In its softened state it can be formed into any desired shape by molding or extruding techniques. 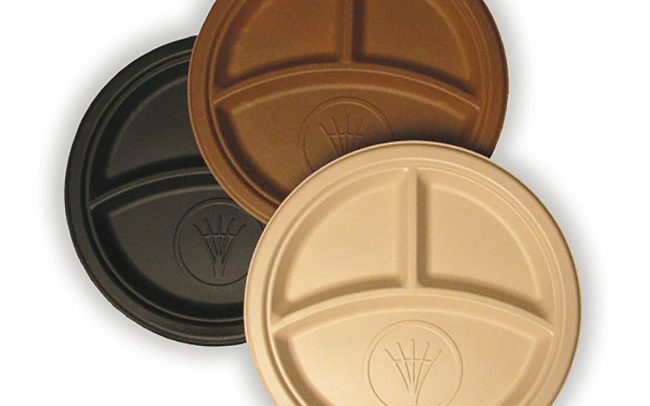 Thermoplastics make about 90 percent of all plastics produced today and include Acrylic (PMMA), Nylon, Polyethylene (PE), Polypropylene (PP), Polystyrene (PS), Polyvinyl chloride (PVC) and Teflon (PTFE). In order to encourage plastic recycling and simplify separation, the Society of the Plastic Industry (SPI) introduced the Resin Identification Code (RIC) system in 1988; a set of symbols assigned to and printed on the most common types of plastic containers. Correct recycling is important since a single item of the wrong type could ruin the whole batch. More problematic than proper recycling however is the plastic that is not being reused, but rather litters and disfigures coastlines and oceans and poses a danger on marine life. Since many of these plastics also leach small amounts of pollutants, such as endocrine disruptors, into the environment, they can have serious impacts on animals and humans. Cellulose, which is found in plant cell walls is the most abundant renewable resource and makes up 40 percent of all organic matter. 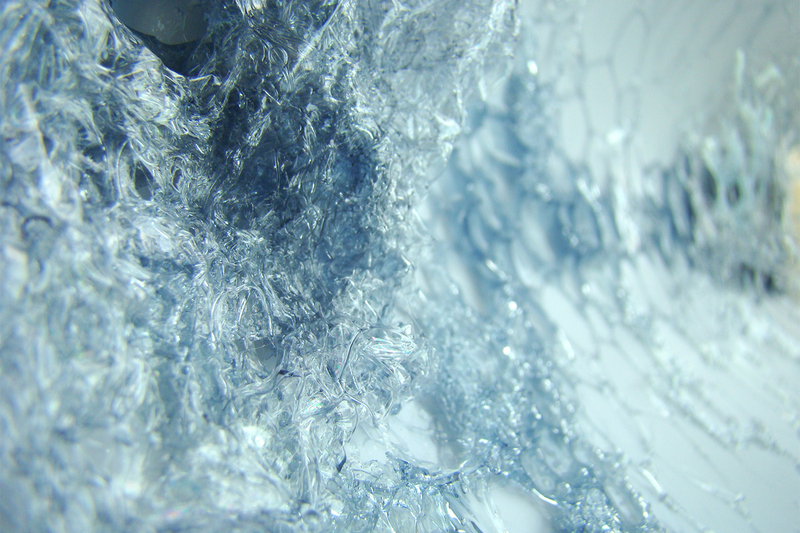 Interestingly the first man-made plastics were derived from biological cellulose. In 1845 Christian Friedrich Schönbein prepared a strong, transparent and waterproof cellulose derivative from paper. At the 1862 building exhibition in London the English inventor Alexander Parkes presented a pressure-moulded plastic that he called Parkesine and which he brought to the market in 1866. Three years later the Hyatt brothers patented a process for plasticizing cellulose nitrate with camphor and consequently opened their first factory to mass-produce celluloid. In the 1910s Henry Ford began experimenting with converting soybeans into plastic for the use of automobile parts. In 1941 he exhibited a prototype car, whose body consisted of fourteen pressure molded panels made from soybean plastic. Further developments were however stopped with the beginning of World War II. 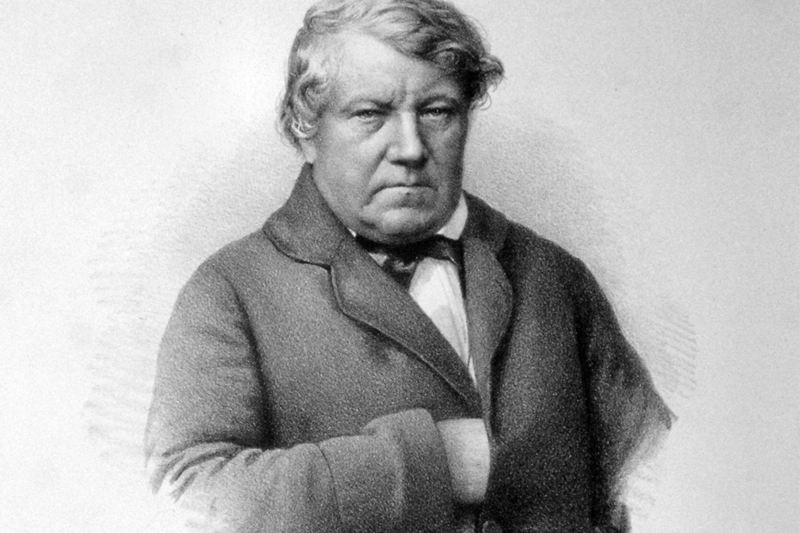 1845: Christian Friedrich Schönbein prepares waterproof cellulose. 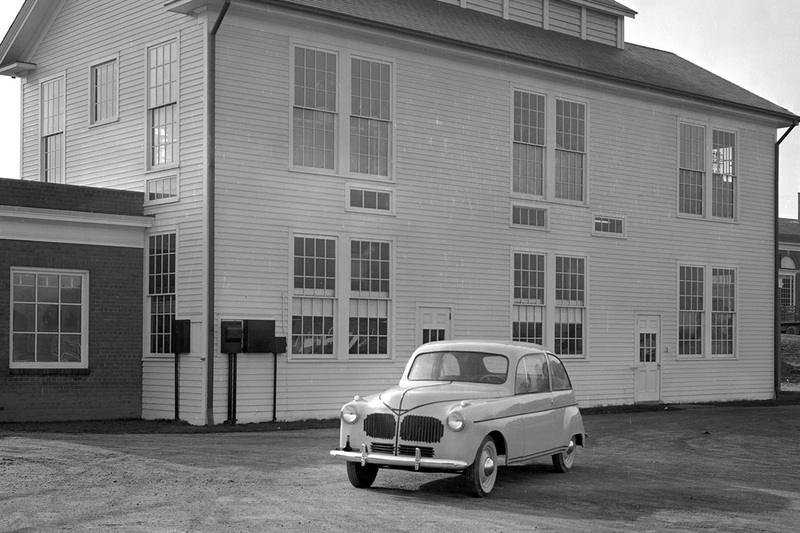 1941: Henry Ford’s soybean plastic prototype car. 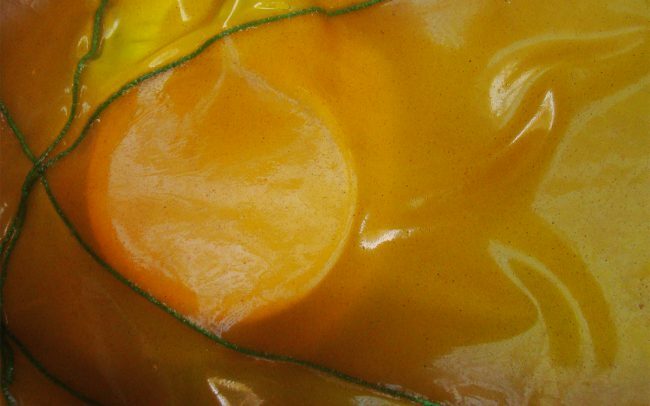 In 1923 the industrial production of cellophane began, the only bioplastic that until today survived the growth of the synthetic plastics industry, which emerged during the same time. Research into organic chemistry soon led to a shift towards the use of fossil fuels and in turn the discovery of Bakelite (1907), Acrylic, polystyrene, Nylon and Teflon in the 1930s and the industrialization of polyethylene and polypropylene in the 1950s. Since the 1980s research and development into bioplastics has resumed and is again constantly increasing. 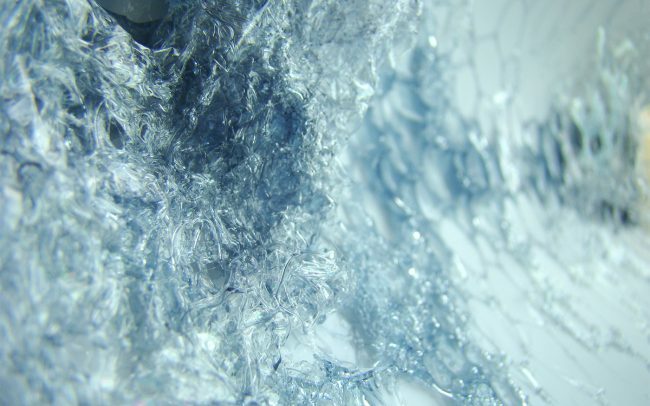 Plastic made from cellulose, like cellulose acetate (CA) and cellulose triacetate (CTA) is translucent and can reach light permeability up to 90 percent. About 80% of todays bioplastic production is based on starch, a natural compound, produced in plants during their photosynthesis. 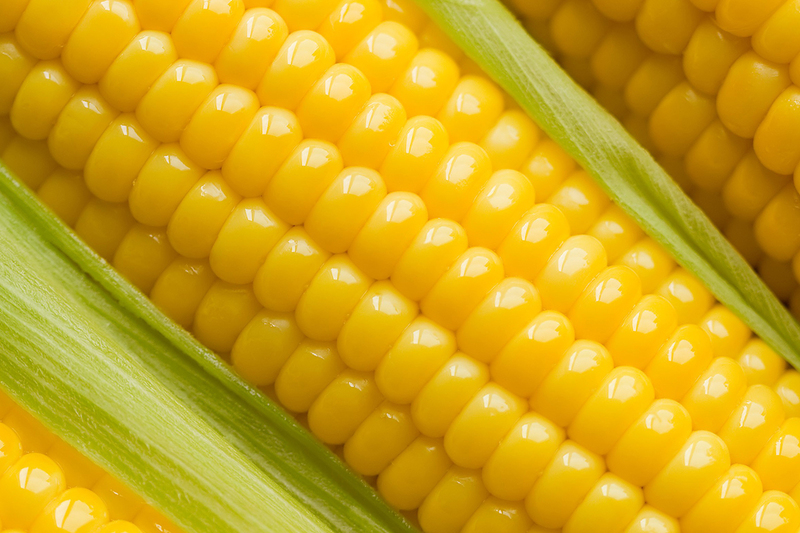 Starch is derived from maize, wheat, potatoes or tapioca and can directly be processed into bioplastic. Since thermoplastic starch (TPS) is soluble in water, articles made from starch swell and deform when exposed to moisture and are therefore mainly used in the pharmaceutical industry. This problem can however be solved by chemically modifying the TPS into a different polymer, broadening the spectrum of possible applications. Polyalactic Acid (PLA) is a biocrude plastic produced through the fermentation of starch from crops into lactic acid that is then polymerized. It is a transparent, colorless and shiny plastic whose properties are similar to common petroleum based plastics like polyethylene, polypropylene or polystyrene. It is water-repellent, printable and breathable and is used in a number of applications including computers and mobile phone casings, biodegradable medical implants, foil, tins, cups, bottles and other (food) packaging and is expected to overtake the use of PET, even though its production cost is higher. 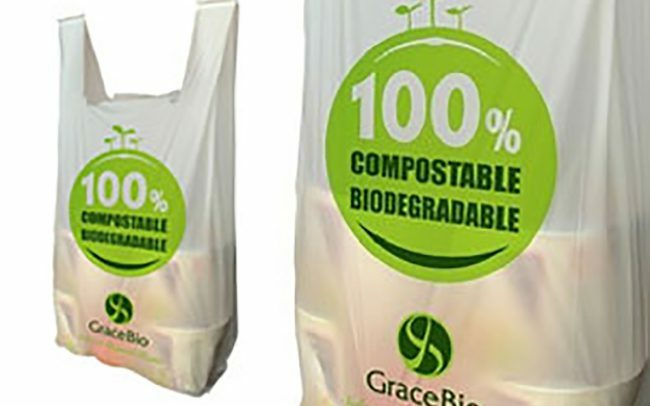 Depending on the particular requirements it can be designed to either biodegrade rapidly or to remain stable for several years. Polyhydroxybutyrate (PHB) is another biocrude, non-transparent polyester, very similar to polypropylene. 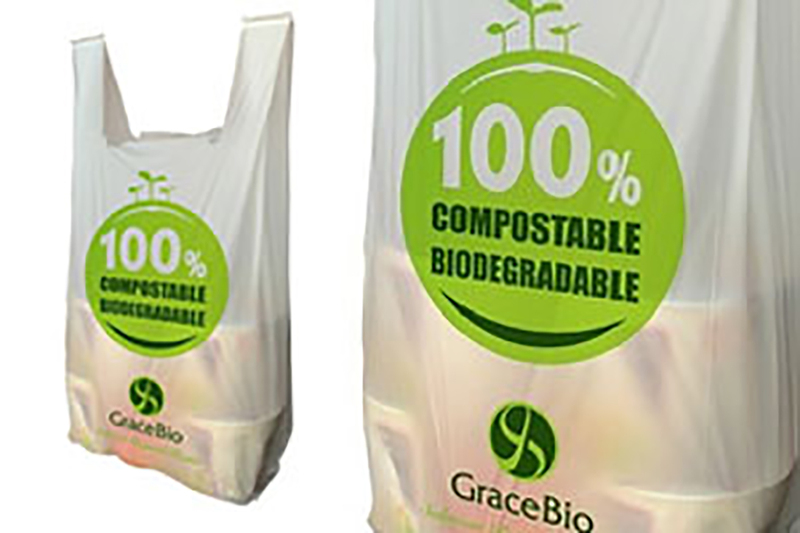 Since it doesn’t dissolve in water and is resistant to hydrolytic degradation it proposes a good alternative to most other biodegradable plastics, which are usually moisture sensitive. Its production, the transformation of glucose, cornstarch or wastewater through certain bacteria, is currently developed to an industrial scale. 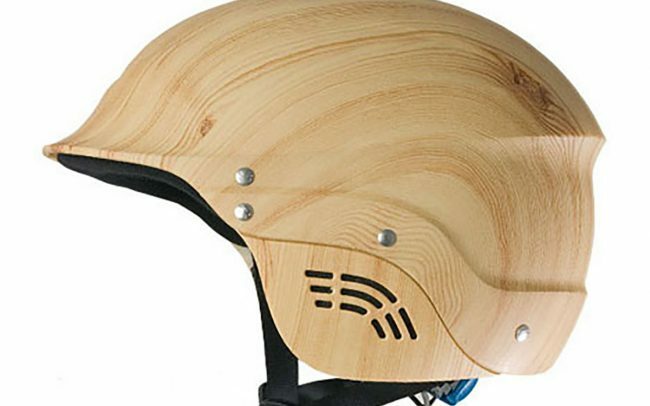 Its mechanical properties can be tailored to exhibit outstanding flexibility and toughness and it is biodegradable without residue. Polyhydroxyalkanoate (PHA) is produced by bacterial fermentation of sugar or lipids. Through the combination with other polymers, enzymes or inorganic compounds, materials with extremely varying properties can be created. It is more ductile but less elastic than other bioplastics and is largely used in the medical industry. 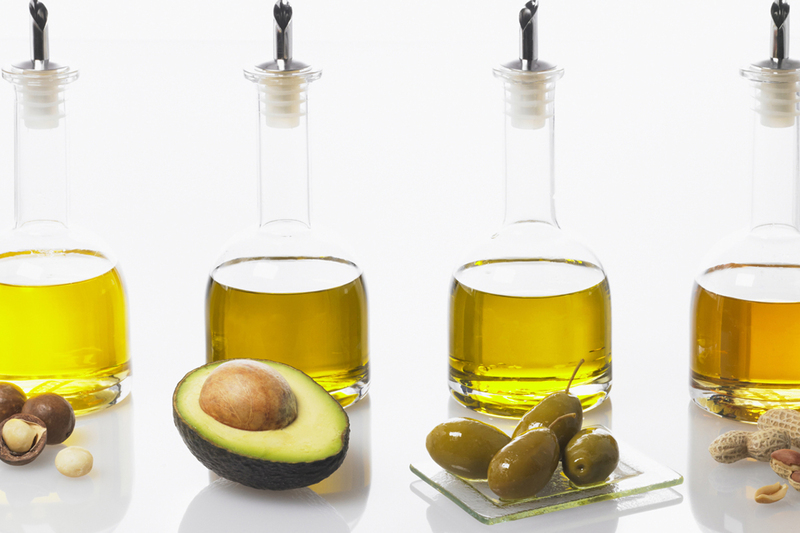 Vegetable oils can be used as raw materials for the production of polyamides, resins or foams. Polyamide 11 (PA11) is a biopolymer that is not biodegradable. It is valued for its high thermal resistance and gets often reinforced with fibers to increase heat stability and durability. Lignin represents the second most common biopolymer found in nature, next to cellulose, making up about 20 percent of all organic matter. It serves as the stiffening substance in the outer layer of every plant cell and accounts for about 1/3 of a tree’s material. It is extracted through a boiling process from wood shavings and fibers and enhanced with methanol and hydrochloric acid to form a resin-like substance. Polymer blends from Lignin exhibit good mechanical properties and a high degree of rigidity. Other potential raw materials and substances for the production of bioplastic include, sugar, algae, casein, chitin or gelatin. 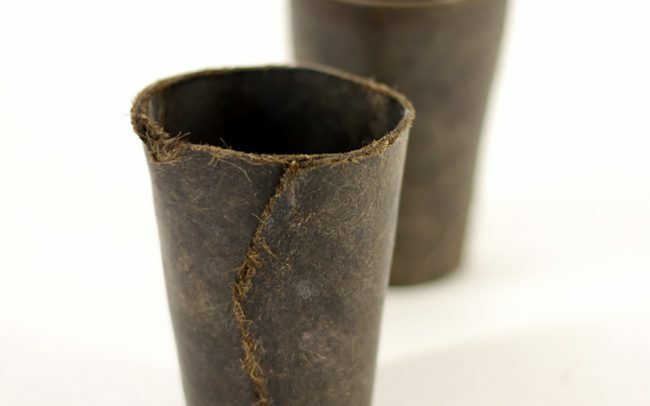 Due to its organic compounds bioplastic obviously proposes a valuable alternative. In general two different types and usages need to be considered. 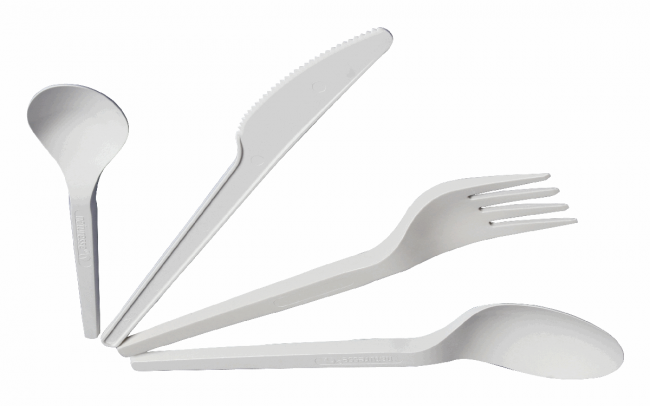 Items that are mostly intended for packaging or single use applications and that quickly become obsolete. These should be produced to easily degrade, either in industrial composting systems or in the open air or water. Elements or products that are ought to stay permanent and where durability and robustness is essential. These need to exhibit equal or comparable properties like their oil-based equivalents but remain largely recyclable. Despite the various advantages that bioplastics might have like the reduction of CO2 emissions, decreased dependency on fossil fuels, less toxic waste and enhanced properties they obviously still have to come a long way until they will be able seriously compete their petrochemical rivals. Mostly the two to three times higher cost in production but also the fear of loosing land for the growth of food or increasing deforestation hinder its economic development. Nevertheless bioplastics are expected to have annual growth rates of 25-30% and a rise in production capacity of around 3 million tons (currently 350000 tons) until 2020. 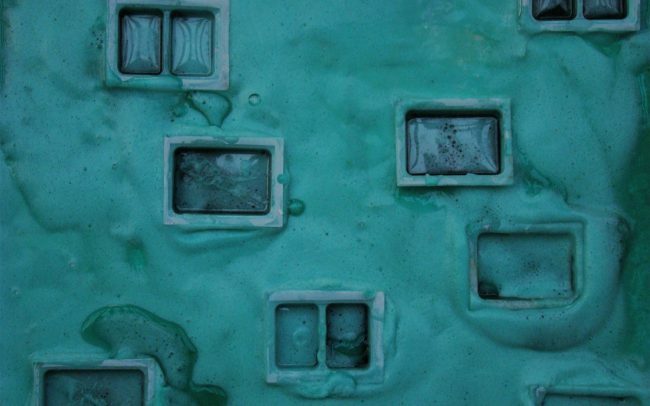 Since the building and construction industry is among the largest consumers of plastics, the potential of less pollutant plastic alternatives is fairly obvious. 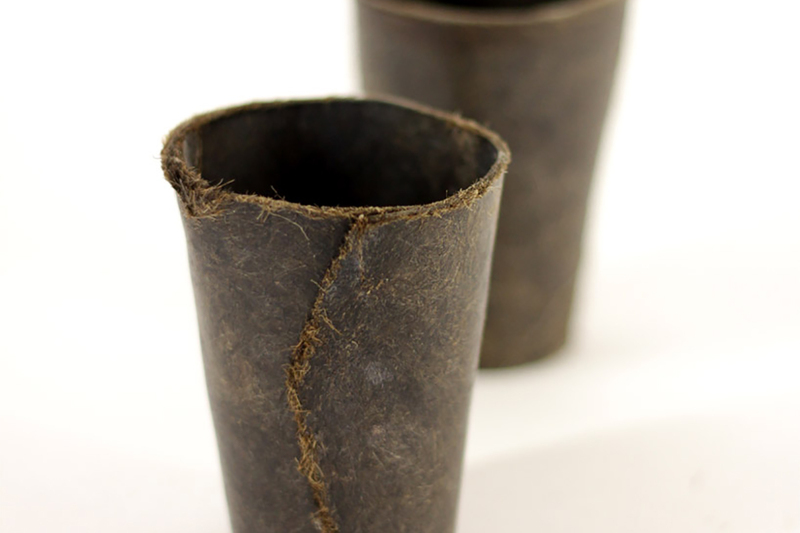 However the biodegradability of bioplastic poses a major problem and results in applications reduced to the interior. 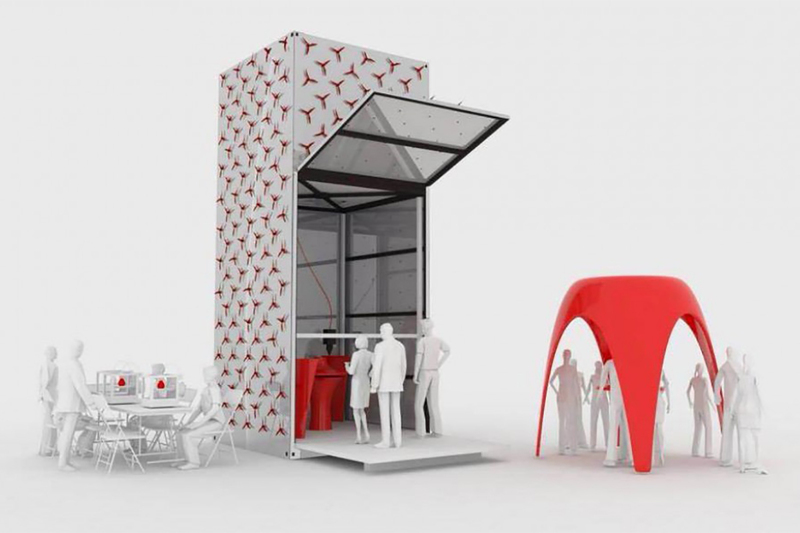 Very recently the Dutch architecture firm DUS developed a large-scale 3D printer that can produce objects using PLA. 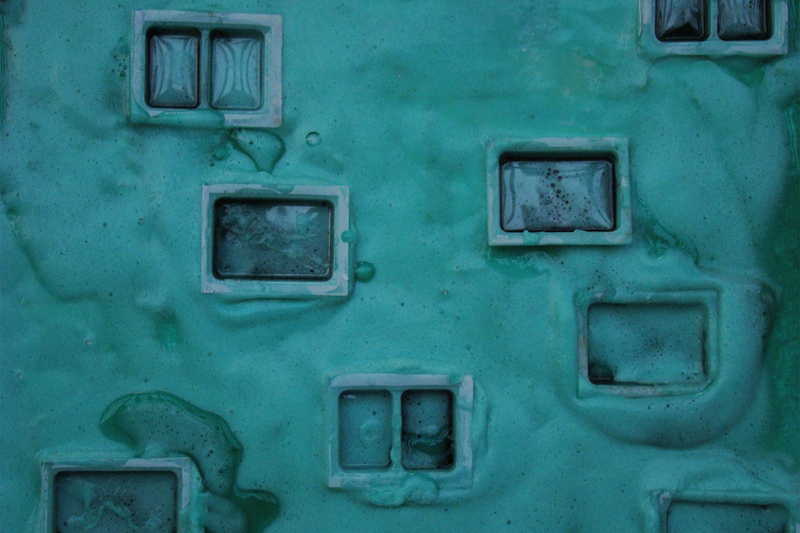 Chris Goodall, Bioplastics: an important component of global sustainability (Marchwood: Biome Bioplastics, 2011), 1. 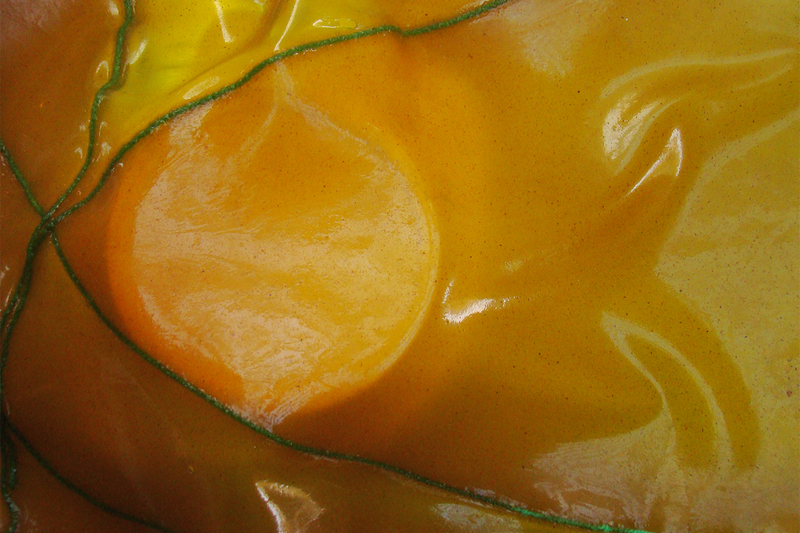 Jürgen Lorcks, Bioplastics: Plants, Raw Materials, Products (Gülzow: Fachagentur Nachwachsende Rohstoffe, 2006), 5. Christiane Sauer, Made of…: New Materials Sourcebook for Architecture and Design (Berlin: Gestalten, 2010), 222. Biocrude plastics cannot be used directly but through compounding are mixed with additives or aggregates to meet specific requirements. Phillip Howes, Zoe Laughlin, Material Matters: New Materials in Design (London: Black Dog Publishing, 2012), 159. Eugene S. Stevens, Green Plastics: An Introduction to the new Science of Biodegradable Plastics (Princeton: Princeton University Press, 2002), 84. Eugene S. Stevens, Green Plastics: An Introduction to the new Science of Biodegradable Plastics (Princeton: Princeton University Press, 2002), 90. Sascha Peters, Material Revolution: Sustainable and multi-purpose materials for design and architecture (Basel: Birkhäuser, 2011), 32.